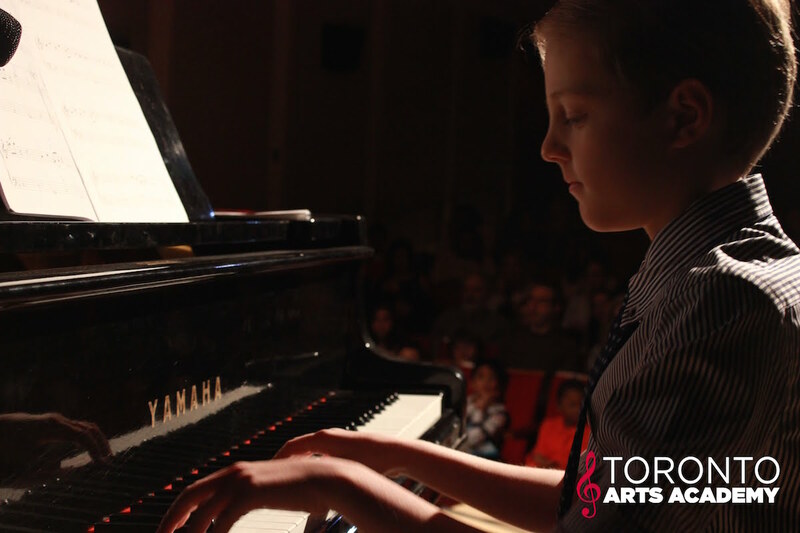 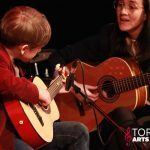 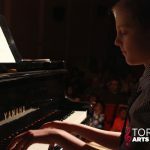 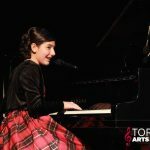 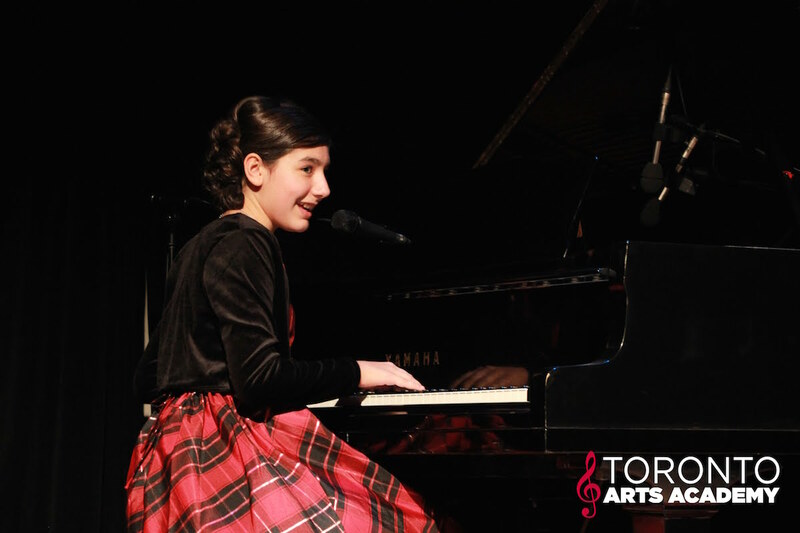 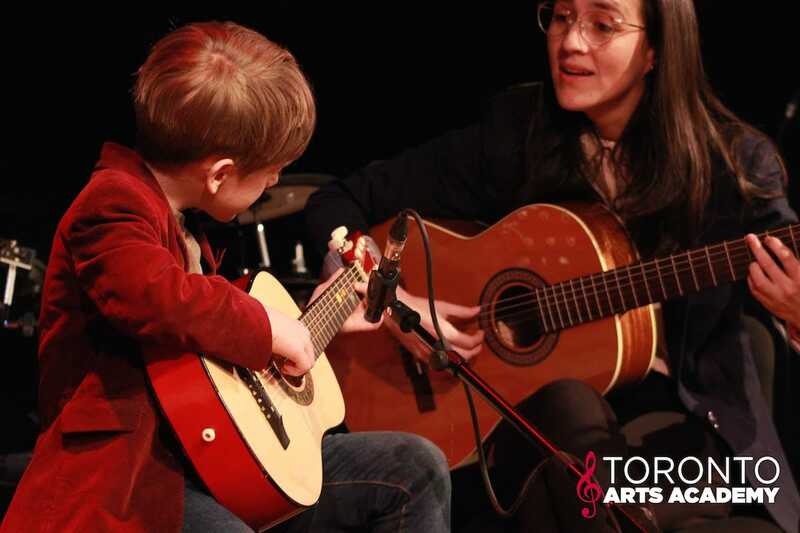 A Toronto music school with private music lessons in singing, piano, guitar, and drums for children and adults, Toronto Arts Academy offers music programming based on an understanding that children and adults learn best when they are enjoying the process and feel inspired to keep going. 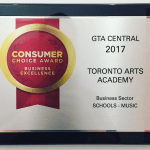 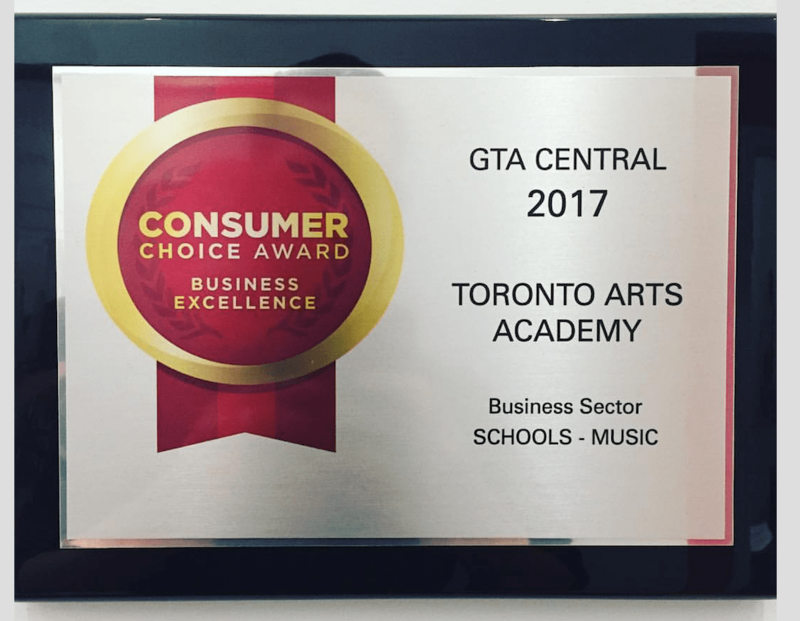 The school is a five-time Consumer Choice Award winner (2014, 2015, 2016, 2017, and 2018). 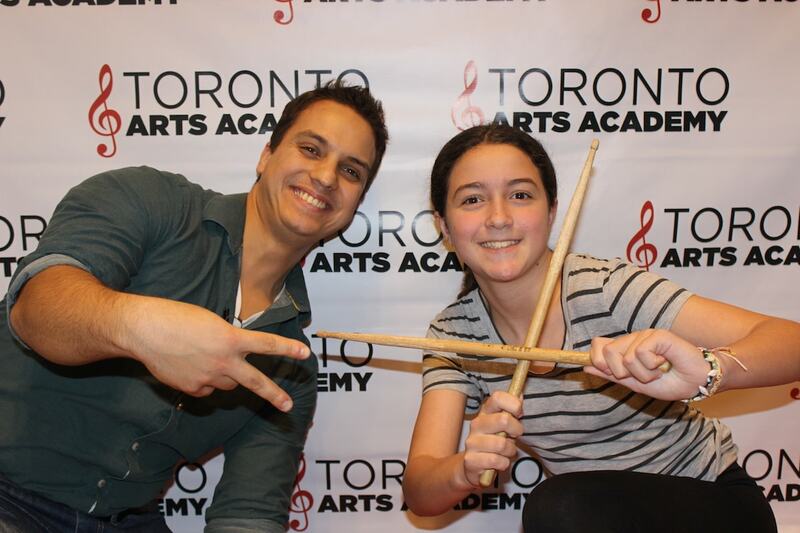 Check out their student testimonials to learn more about individual student experiences. 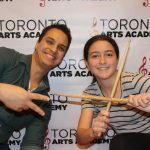 All Toronto Arts Academy music instructors have either university training in music or extensive, professional performance experience. 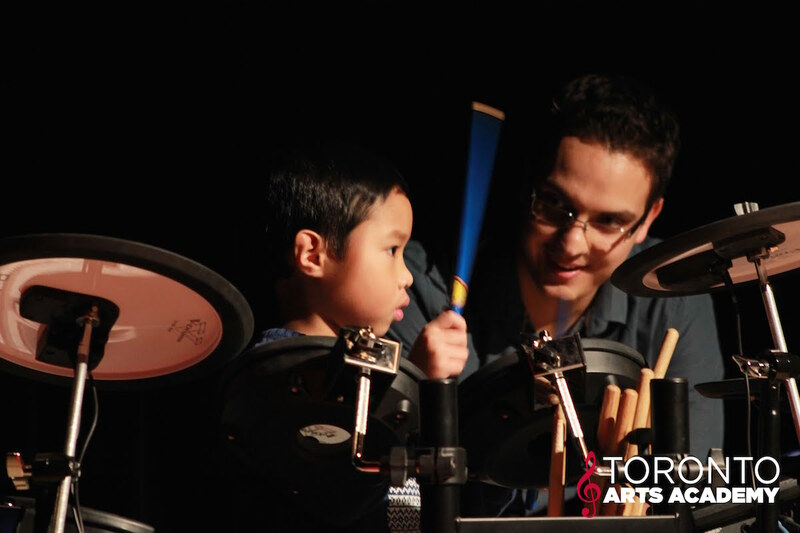 Some teachers have even worked with artists such as The Weeknd, Mariah Carey, Drake, and more. 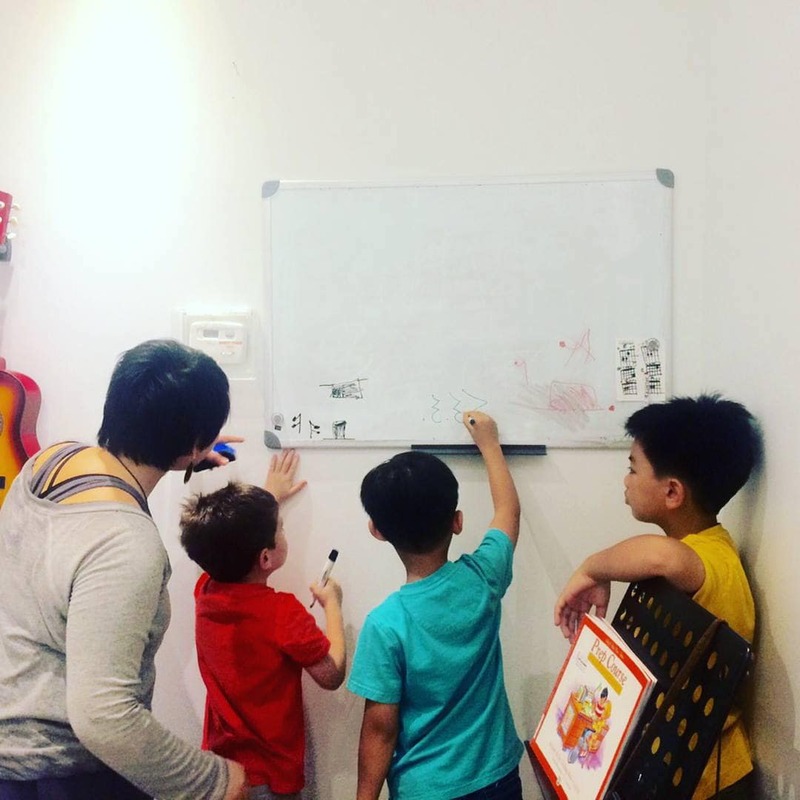 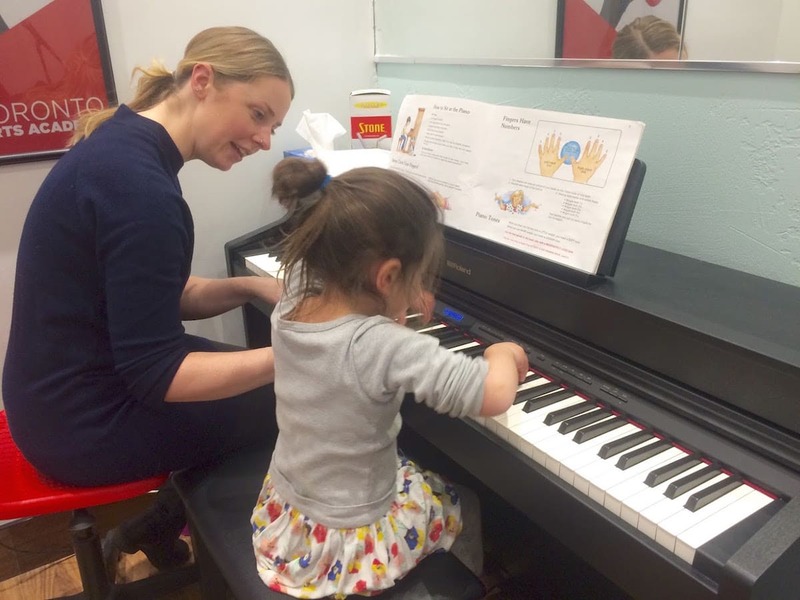 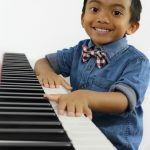 Teachers have warm, friendly personalities and are dedicated to teaching you the style of music that you want to learn in your music lessons. 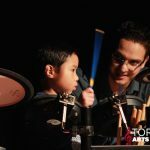 Finding a program that will work for and inspire your child is important. 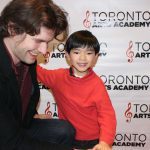 With a faculty of more than 30 music teachers (at least three per instrument) between two locations and lesson time availability seven days a week, beginning as early as 9 am, Toronto Arts Academy can match you with the best teacher for your child’s choice of instrument and with a lesson time and location that works for your family’s schedule. 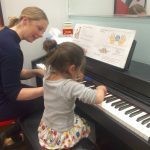 Staff and music teachers work to develop individual programs for each student based on learning styles and interests, from learning to play or sing their favourite songs to preparing for music certifications. 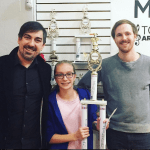 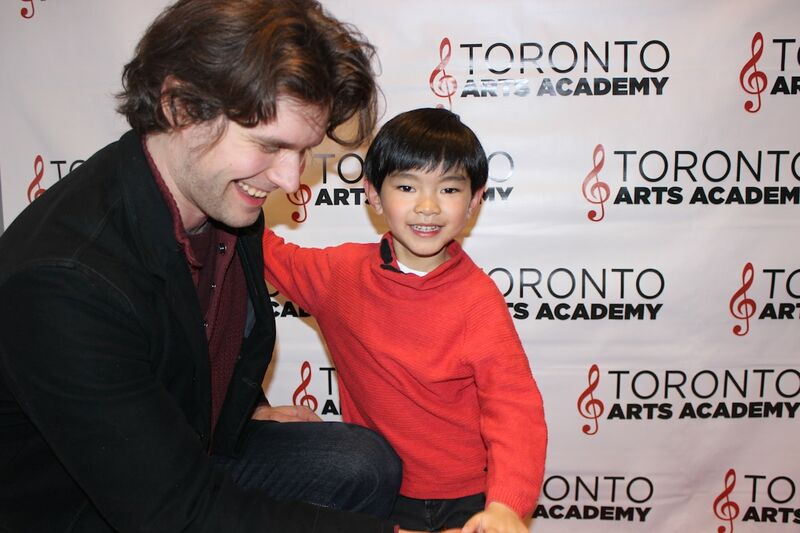 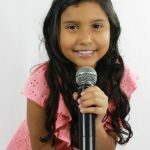 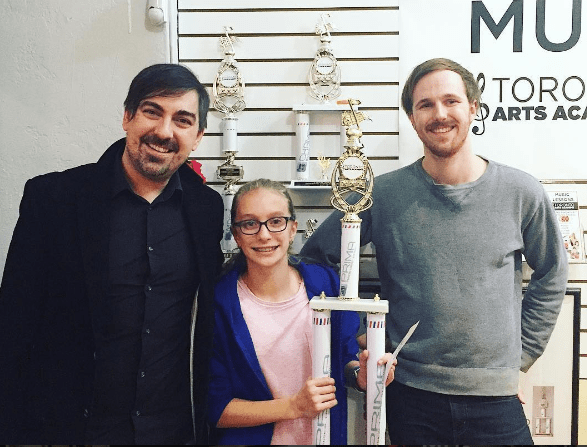 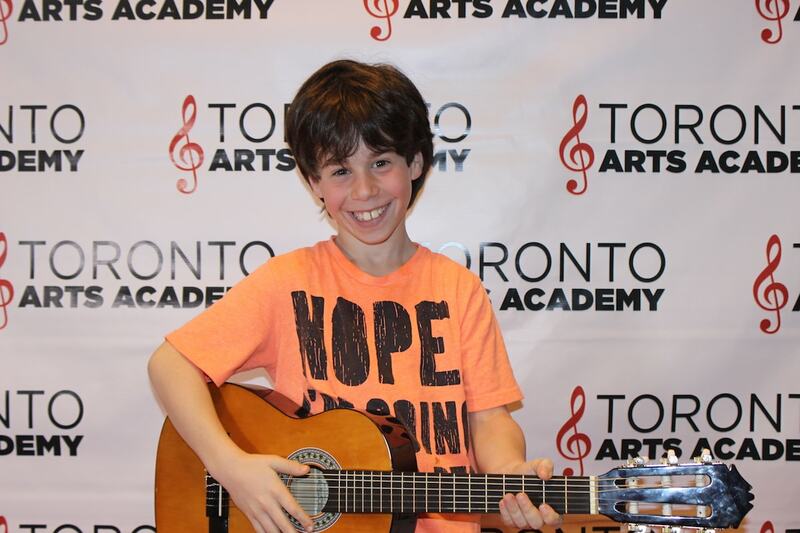 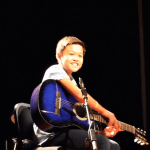 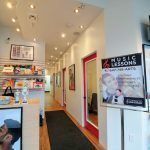 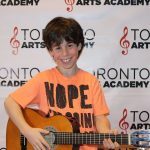 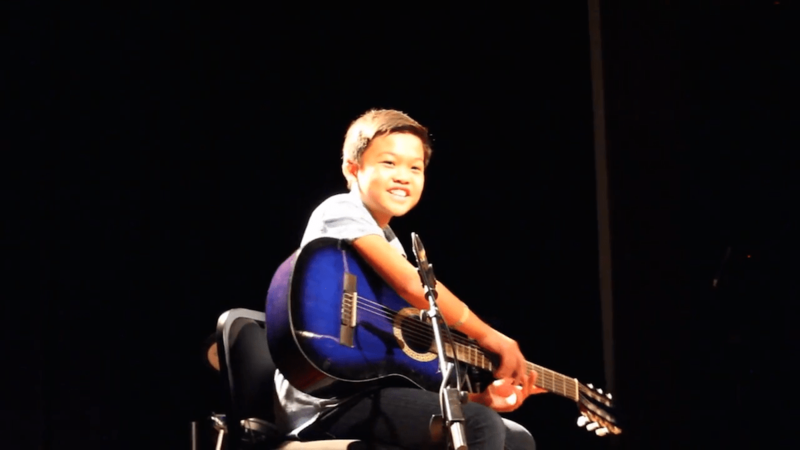 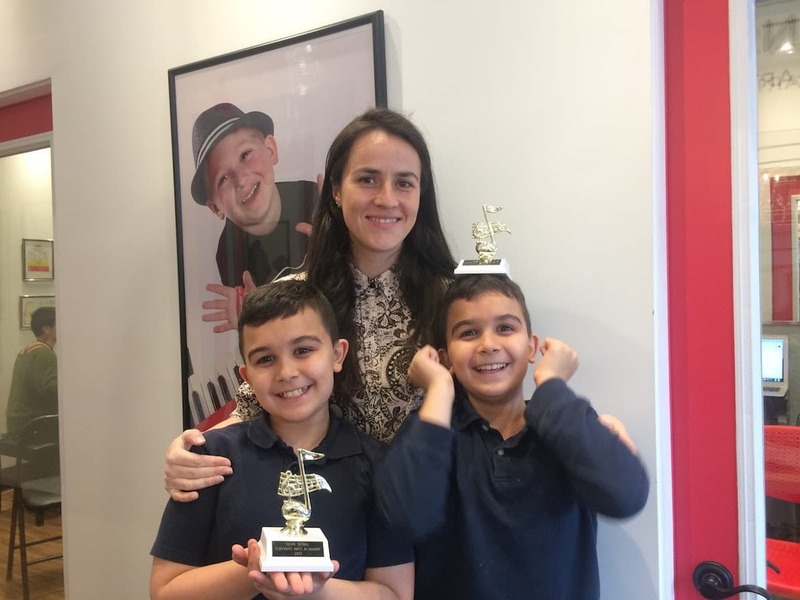 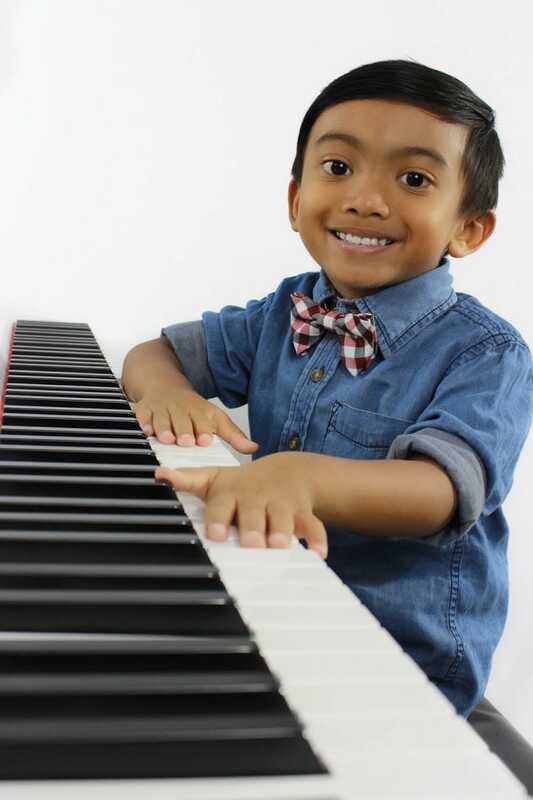 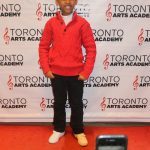 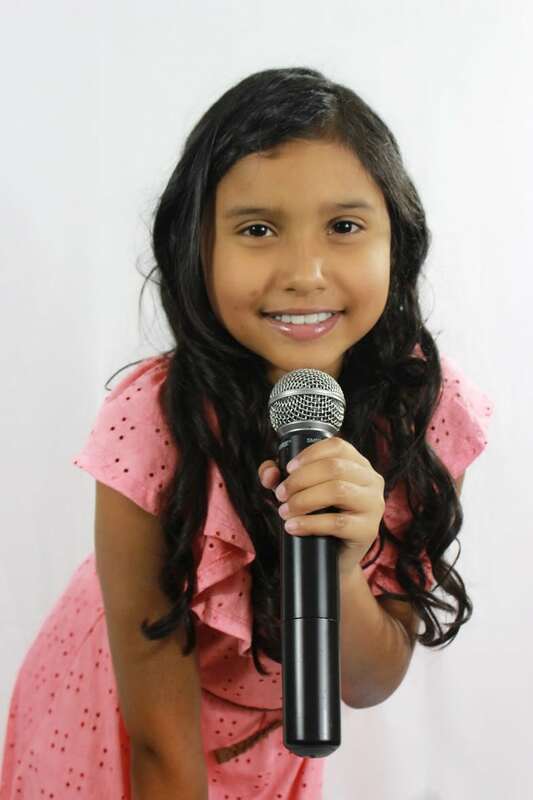 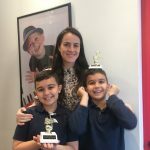 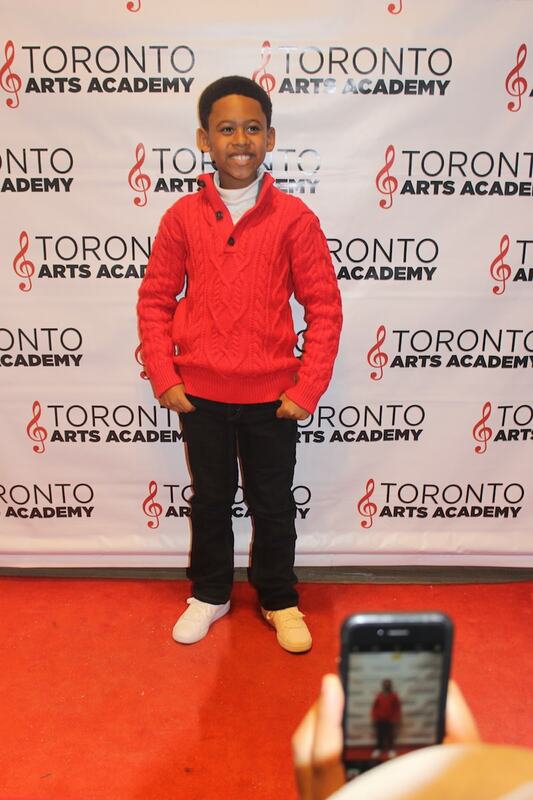 To really make Toronto music lessons fun, Toronto Arts Academy incorporates group classes, free photo days, rewards to recognize success as students grow, and free performances with red-carpet photo shoots beforehand so kids can feel like celebrities! 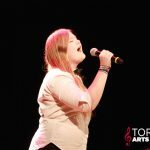 Interested in voice lessons? 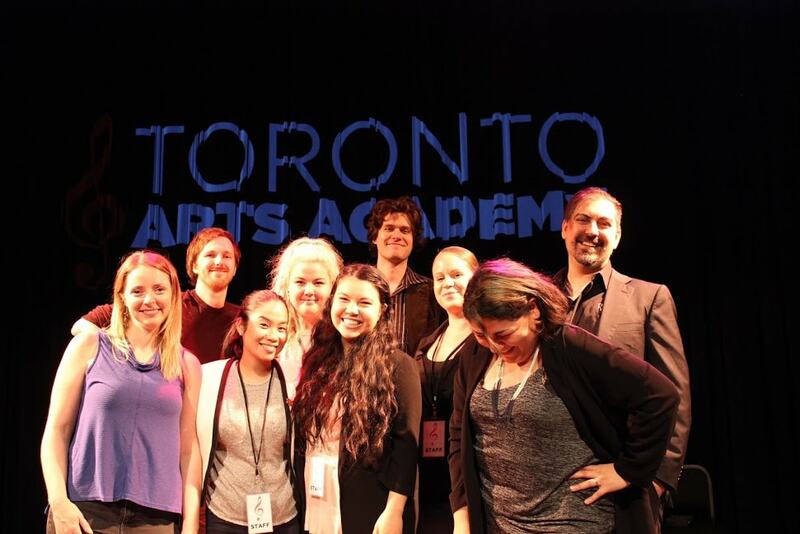 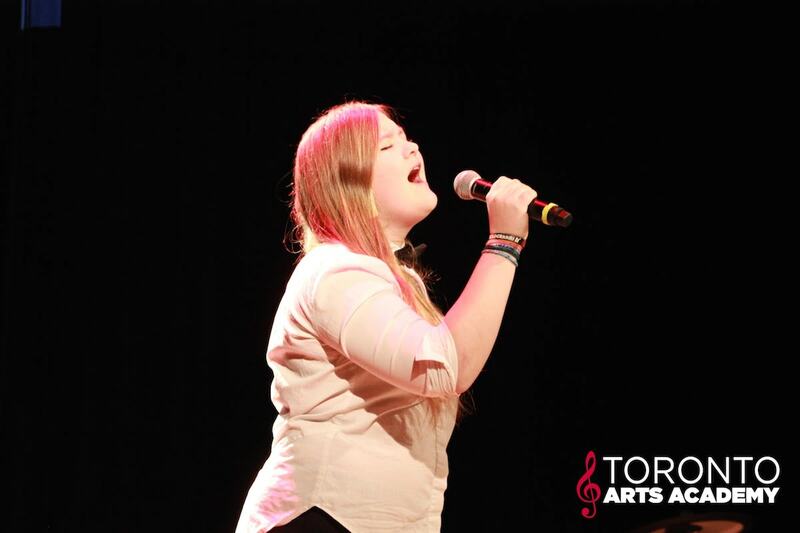 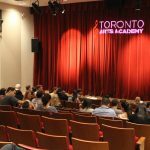 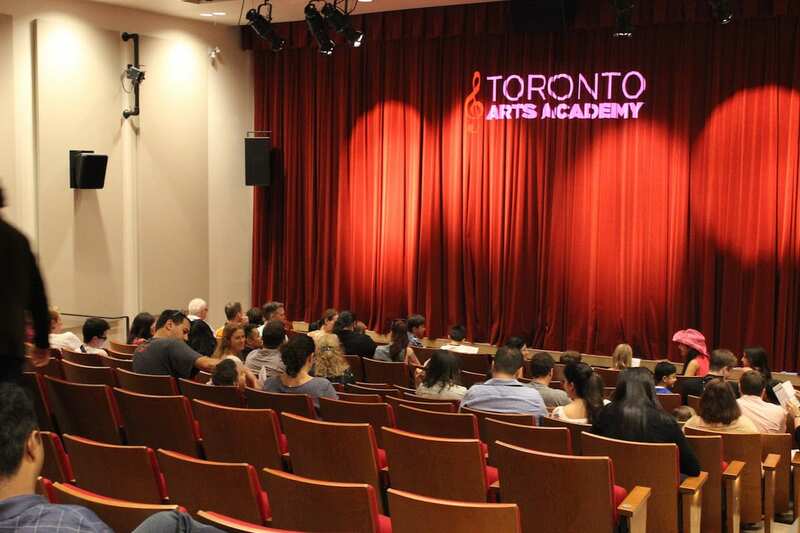 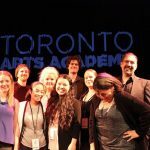 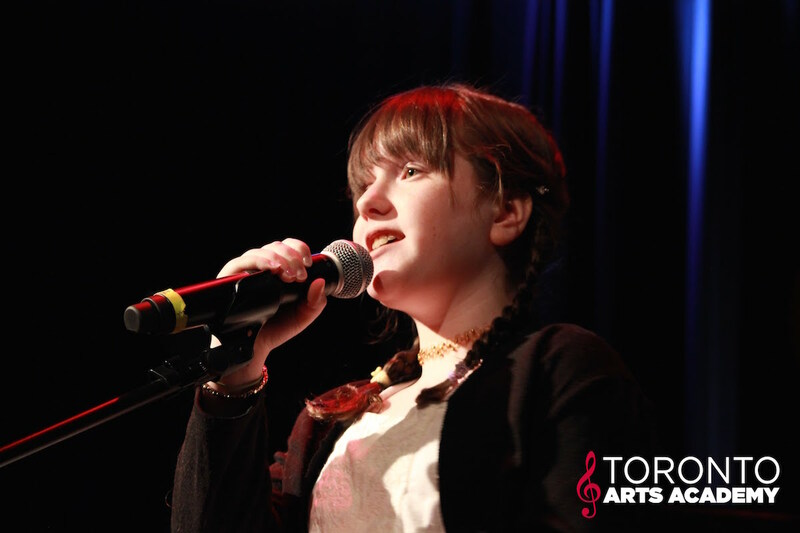 Toronto Arts Academy has one of Canada’s leading contemporary voice programs for singers of all levels. 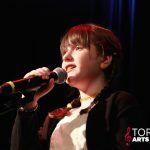 The voice certificate program, which rewards students at every level of growth, is based on school director Brandon Brophy’s book The Singer’s Instinct, which has been used internationally by Disney, Paul McCartney’s school LIPA, and other renowned institutions.